The breakfast cereal market runs hot and cold – literally. The U.S. category posted moderate gains from 2007-2009, increasing 5.8 percent to $10.8 billion, according to Chicago-based Mintel. Cold cereal is the clear favorite, generating 88.4 percent of store sales during 2009, while hot cereal accounted for the remaining 11.6 percent. Four companies generated more than 80 percent of cereal sales during 2008-2009. Kellogg Co. and General Mills together account for 57 percent, with Kellogg laying claim to a 30 percent share. While further behind in cold cereals, Quaker, owned by PepsiCo, dominates the hot cereal segment with a 59 share. Ralcorp Holdings rides the continuing encroachment of private label, with a 12.3 percent share – although Ralcorp's recent acquisition of Post cereals from Kraft puts it back in the branded game. Hot and cold applies to sales, too. In 2008 and 2009, the market saw above-average dollar-sales growth, but only due to price increases (thanks to record commodity prices forcing manufacturers to pass along high costs). Still, cereal maintained it positioned as a "value" food in the minds of most consumers. According to Mintel, sales of breakfast cereal grew 7 percent from 2004-2009; but, when adjusted for inflation, sales actually declined an identical 7 percent. Even so, Mintel found 93 percent of survey respondents said they eat cold cereal, and 68 percent also consume hot cereal. One might wonder why sales have declined for cereal with such high household penetration. One problem is new product launches tend to cannibalize existing sales. There are other reasons for lack of growth in the category. While the economic downturn has fueled demand for cereal as a thrifty food choice, it has also led consumers to trade down from branded cereals to private labels. Despite strong brand recognition in this category, nearly two thirds of cereal eaters do not agree that leading brands provide higher-quality cereals, according to Mintel. Also in the mix is the fact the foodservice industry has intensified the battle for the breakfast dollar over the past two years. On the other hand, cereal-makers have done a fairly good job in encouraging a shift of cereal usage beyond the morning occasion and into snacking and other meals. Almost three-quarters of cereal consumers eat it because it's quick. Three out of 10 eat cereal because it is their favorite breakfast food. Some 45 percent say eating a high-fiber cereal is a great way to manage hunger and weight control — supporting the plethora of fiber-rich cereals available. Among over-55s, 52 percent (compared to 45 percent of all) eat cereal because it is better for them compared to other breakfast foods. Roughly a fifth of respondents find other health reasons, such as reducing the risk of heart disease and controlling blood sugar. "In breakfast cereal, there are challenges in meeting high dietary fiber requirements and incorporating whole grains," says Darren Schubert, vice president sales and marketing-western operations, at Grain Millers Inc. Eugene, Ore. "The challenge is to increase fiber while maintaining a good texture, bowl life shelf life and avoiding gritty texture or off flavors." Schubert also notes there are huge differences between formulating a purely good-tasting, sugar-coated cereal for a kid versus a high-fiber product for an adult. When you put in a functional ingredient, you usually have to remove something else, and that is the problem in both cereal and cereal bars, he explains. When required to select four important attributes for selecting cereal, not surprisingly, taste and price are the top two among consumers. Ranked third is whole grains, selected by a third of cereal consumers. Familiarity is important too, as 31 percent want a flavor they know they like. Fiber content (29 percent) and sugar content (23 percent) were among the other top health attributes deemed important. "Usually, when adding a lot of whole grains, it is the sweetener, which acts as the critical binder," he explains. "Too much grain can affect the texture, so finding grains and fiber in higher concentrations in smaller proportions provide a matrix for developers to create a product that is attractive and tasty to a customer." Fiber solutions from Grain Millers include: whole grains, dietary fibers, oat fibers, barley and oat products (which contain high concentrations of beta glucans), along with "ancient grains," which contain a unique balance of fiber. "Opportunities for cleaner and simpler labels is a primary objective for food developers," says Schubert. "Whole grains and natural fibers are not complicated, because they are not a derivative of something else, so they inherently provide a nice clean label. Natural fibers are a cost-effective and a better alternative for processors." Schubert points notes the definition of dietary fiber hit the table in the U.S. just last year. "It took 15 years, but Codex defined dietary fiber as natural fibers in their natural state. [By contrast] existing bleached and high-absorbing oat fibers have had their lignans and phytochemicals stripped away, essentially turning this natural product into cellulose," he says. "We're finding there are natural benefits to those phytochemicals in lignans. By keeping them in a natural matrix, they benefit the digestive system. These phytochemicals create an environment for the micoflora in the intestine to flourish. The FDA is reviewing the present definition, which should be completed by the end of 2010." A lot goes into selecting the right ingredients for breakfast cereal formulations. "Proper ingredient selection requires knowledge of the finished product attributes and manufacturing process," says Cristina Munteanu, senior technical services specialist at Corn Products International, Westchester, Ill.
"Stability during processing and storage is key in delivering health and wellness benefits. Functional ingredients that do not impact the shape, appearance and uniformity of the cereals, while providing desired crunchiness and crispiness as well as good taste and visual appeal, are ideal." Kellogg posted relatively flat performance (up 0.7 percent) during same-period sales 2008-09, but leads the medium sugar content cold cereal sub-segment, with its Special K brand accounting for 29.8 percent share. General Mills grew steadily (up 6 percent). Its Cheerios brand topped the low sugar cold cereal sub-segment (49.5 percent share) and Honey Nut Cheerios led the high sugar sub-segment with 12 percent share. Quaker (PepsiCo) experienced the greatest sales loss — down 5.3 percent. Although Quaker dominates the hot cereal segment by a commanding margin (59.3 percent) and competes in cold cereals with its Life and Cap'n Crunch brands. Ralcorp Holdings' sales dropped 3.7 percent despite its success in the medium-high sugar cold cereal sub-segment, where it holds the top supplier position featuring its Post brand of cereals. Private label emerges as the fastest-growing player in the market with gains of 12.8 percent to account for 12.3 percent share—pulling it ahead of Ralcorp in total sales. Corn Products offers ingredients that enhance breakfast cereals and breakfast bars. "NutraFlora is a soluble prebiotic fiber containing a minimum of 95 percent short-chain fructooligosaccharides, or scFOS," she explains. "NutraFlora can be added at any point during the manufacturing process without detracting from the organoleptic characteristics of the product. It supports digestive function, increases calcium absorption and supports a healthy immune system. It requires low inclusion rates for health benefits, making it a great choice for inclusion in a variety of products, including breakfast cereals and bars." Another option is BioAgave, "an agave-derived source of inulin that supports digestive health and provides an easy way to incorporate added fiber into foods, beverages and supplements," she says. "Because BioAgave is plant-based and extracted using a highly natural process, it is a great choice for manufacturers of organic and natural products, including breakfast products." There are similar challenges in creating breakfast bars. "For bars, hardening over time in soft bars is a challenge," says Aubrey Gregg, food technologist at Decatur, Ill.-based Tate & Lyle. "When processing formed bars, the viscosity of the syrup is also important. If it is too viscous, the bar will likely become too compact which contributes to hardening; if it is not viscous enough, the bar will be too weak and will easily fall apart. "Replacing ingredients in bars when reducing sugar can be challenging, as well, because it is a balancing act to get the appropriate texture desired. Adjusting the water slightly in this instance can help." As in the dry cereal categories, cleaner, simpler labels are big in bars. "In partnering with manufacturers on reformulations and new product development, we find they are focusing on delivering products with fewer ingredients and simpler ingredient decks, and products that can be considered as natural by consumers," she says. "For bars, ingredients like Tate & Lyle's Promitor Soluble Corn Fiber are great because consumers understand the label. It is not chemical sounding, and it is great for adding fiber and bulk while reducing calories and sugar. 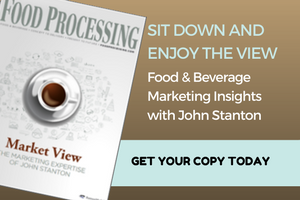 In fact, research we conducted earlier this year found that 71 percent of consumers are likely to purchase a food or drink product made with soluble corn fiber." "Sta-Lite Polydextrose is a very cost effective fiber and bulking agent that is also low in sugar and calories, and Splenda sucralose is a great ingredient that can be used to bring back that sweetness when taking sugar solids or other sweetening ingredients out. It is zero calorie and safe for diabetics."